Be our guest and stay in our shared rooms. Relax, drop your stuff on the room, join us with your new friends and go have fun until the sunrise. 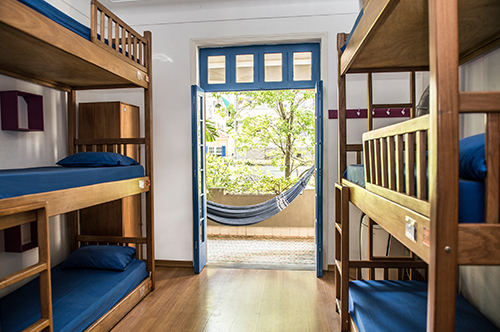 Tip: all the rooms have sheets, individual wardrobes and niche (bring your own padlock). 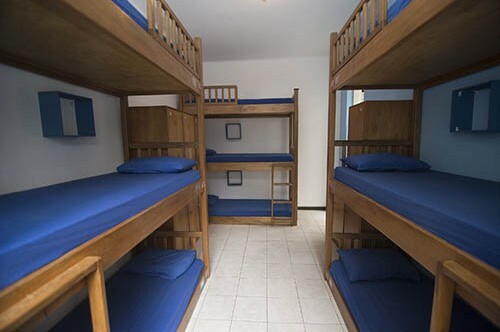 Check-in starts at 2 p.m. and check-out ends 12 p.m.
Room with six beds, located at the first or second floor of the first house or at the first floor on the second house, next to the pool area. Air conditioning, wardrobe and view to the pool included. Room with nine beds, located at the second floor of the first house. Has a very cool balcony, view to the street, fan and individual wardrobe. 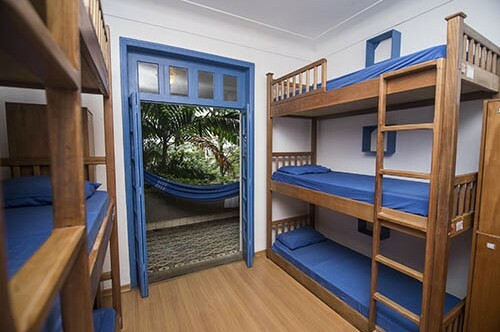 Room with nine beds, located at the first floor of the second house, next to the pool area. 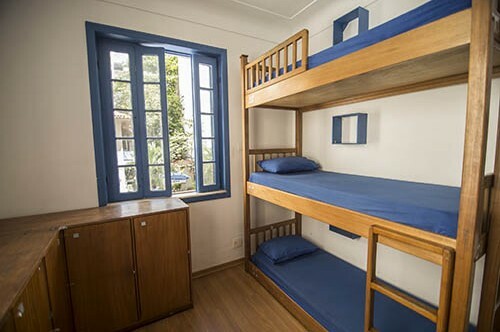 Has air conditioning, individual wardrobes and view to the pool.